Everyone is searching for something or someone to make their lives more meaningful. 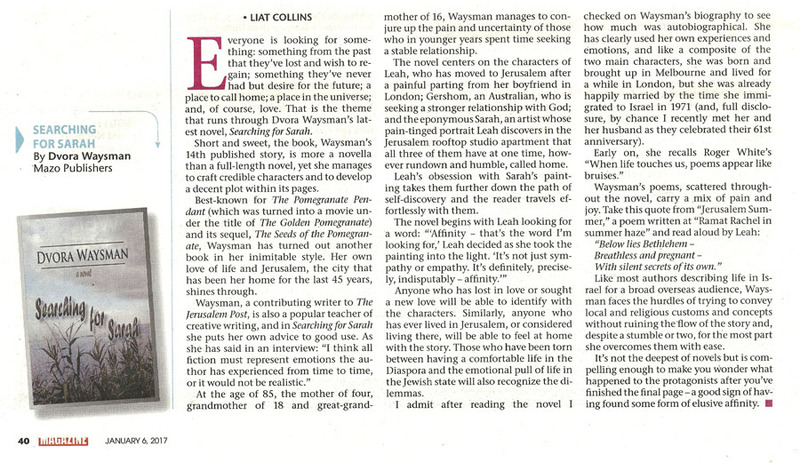 In Dvora Waysman’s novel, “Searching For Sarah”, Leah is searching for Sarah, the artist whose portrait obsesses her; Sarah is searching for something lost that can never be replaced; and Gershom – he seems to be searching for G-d. ~ A tender story of Israel ~ Ordinary People ... Living Extraordinary Lives.